One of the most asked about services at the dental office are teeth whitening. Our office is equipped with the latest technology and advancement with the highest quality teeth whitening products including in office treatment, at home treatment, and even 30 minute home treatments that can be used based on your situation to receive optimal results without sensitivity to your desired shade. For both in office and at home whitening treatment, we offer a customized whitening tray in order to make sure the material is securely seated on your teeth without affecting and causing sensitivity in the adjacent gum area. Different concentration of whitening products are also offered based on the quality of the enamel of your teeth in order to decrease sensitivity and yet receive optimal whitening results. 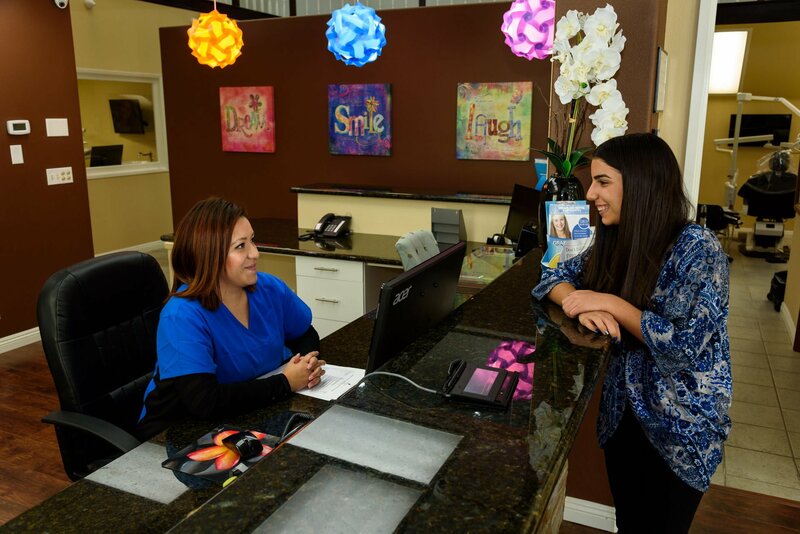 If you are looking to improve your smile in Bellflower in only one short appointment, then professional teeth whitening is exactly what you need. There are a number of professional, in-office teeth whitening systems available. 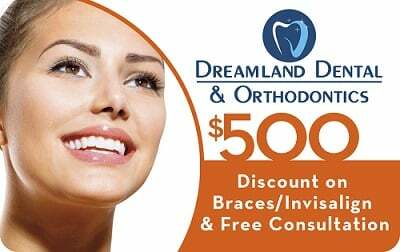 At Dreamland Dental, we offer in-office Zoom laser teeth whitening procedure, where the patient goes under the light while applying the bleaching material, and then we give them take-home trays for final whitening and touch up in the future. Zoom whitening takes about 60 minutes, but you may need an extra 30 minutes for a thorough oral exam, medical check, and teeth cleaning. The dentist will also mark the current shade of your teeth to track the progress of your whitening treatment. The dentist will use cheek retractors and cotton rolls to protect your gums, tongue, and other soft tissues from the chemicals. A protective layer will also be painted on your gums before the whitening starts. Once your teeth are exposed, your dentist will apply the whitening gel, and allow it to remain in place for 15 minutes. During this time, the Zoom light will be used to activate the gel so it penetrates the tooth enamel to remove the discoloration. As the treatment progresses, you can listen to music, watch TV, or just relax. A full Zoom whitening treatment requires 3-4, 15-minute meetings, so the treatment takes a maximum of one hour. When the treatment is complete, the dentist will apply a fluoride gel to reduce tooth sensitivity. To maintain the results of the whitening, we will give you a Zoom touch-up kit with individually made whitening trays to use at home. We will give you detailed instruction on how to use the kit. The dentist will also discuss with you strategies to keep your white smile for longer that include avoiding certain foods and drinks that stain your teeth – red wine, tea, coffee, etc. ; staying away from tobacco products; and using whitening toothpastes. Zoom whitening is not recommended for expectant and lactating women, as well as children under 13 years, though there are no documented effects. It is just a safety precaution because the zoom light produces some heat that may cause discomfort or sensitivity during the treatment. Any sensitivity can be easily managed using anti-sensitivity toothpaste before the procedure. 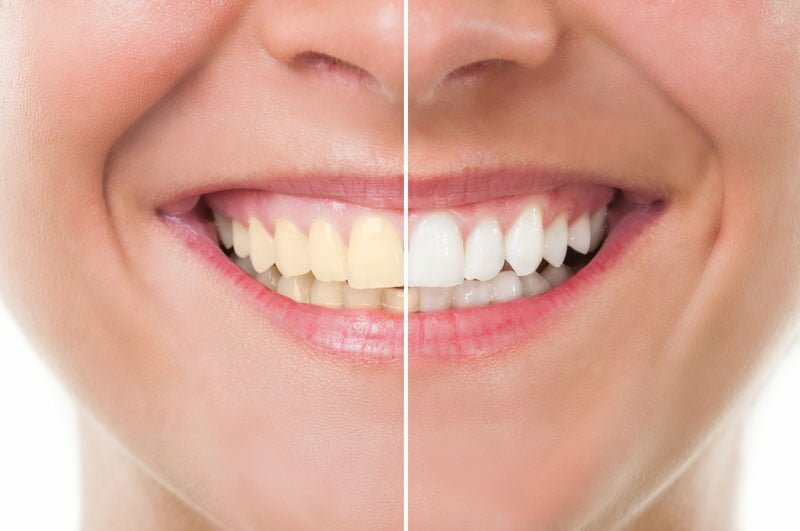 To determine whether Zoom in-office bleaching is right for you, we recommend that you schedule a comprehensive examination with our dentist to ensure that your teeth and gums are in proper health. 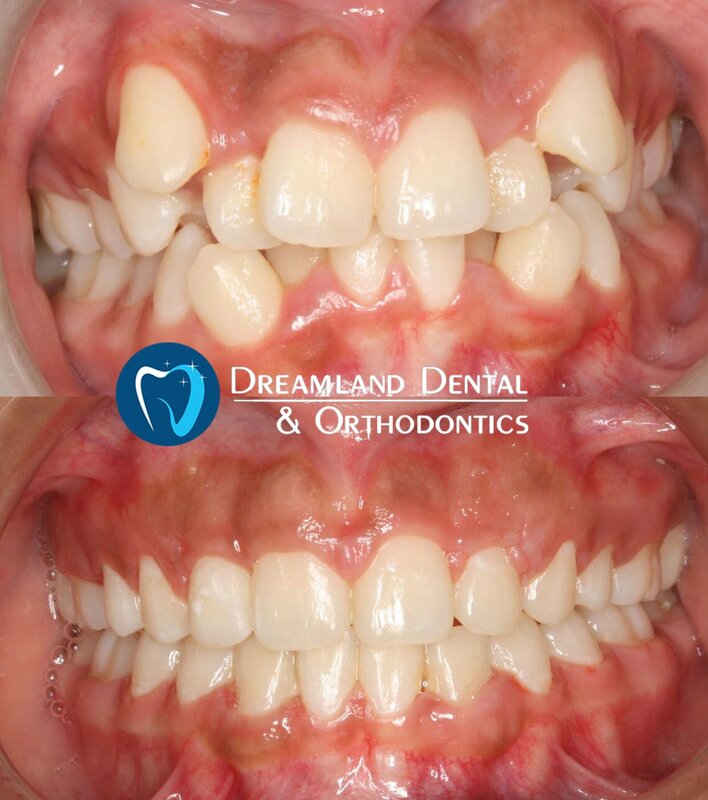 Keep in mind that teeth whitening is a cosmetic procedure that should only be done after any other vital repair or restoration procedures such as orthodontics, or before more advanced cosmetic procedures like veneers or composite bonding.